The Team - Kite Camp Pro- Professional Kite Camps and Private Coaching in Brazil, Zanzibar, Morocco & Worldwide. 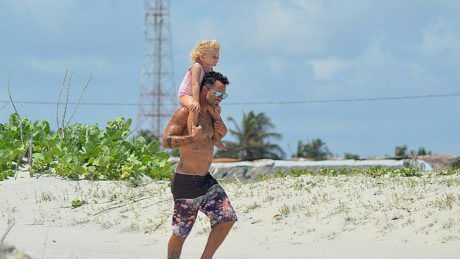 Originally a snowboarder and a skier, it did not take long for Sofi to fall in love with what is now her main motivation, kitesurfing. As a former sports teacher she is a person who loves to share, communicate and inspire. After 3 years of teaching in French high schools and middle schools, she couldn’t resist her desire to get away from it and decided, after qualifying as an IKO instructor, to settle on the paradise island of Zanzibar, Tanzania, to live her new life as a kitesurfer. After 1 year spent there the desire to expand and share her passion with the female community gave her the idea to create her own online magazine, KiteSista, but still kept on teaching and coaching kitesurfing at all levels. Still wanting to give girls a new vision of the sport, she decided to do a little bit more via Kitesista and became the third most influential kitesurfing Girl 2012′ and got sponsorship from F-ONE, Kanabeach, Lastage and Mood. Thereafter she became involved in progression and coaching camps and realized quickly that this approach is definitely what motivates her and what she likes to do – share her passion and knowledge with others. recently she has joined together with Marcus Graichen to create Kite Camp Pro focusing on training camps offering a high level of service both on and off the water. With Sofi’s love of travel and kitesurfing, but also with her desire to teach and share, Kite Camp Pro will give you the opportunity to travel to the other side of the world to improve and achieve your goals. Marcus, or mog as he is more commonly known, is the technical side of the business, from websites to social media, to marketing, to photography, to just making sure everything works, …or fixing it when it’s broken. He is also an accomplished freestyle coach with experience in teaching as far reached as university lecturing and working with disabled children. So although he doesn’t possess any formal qualifications (in anything) he more than makes up for it in experience and patience. From the UK originally, but having lived 4 years in Zanzibar where he helped build and develop the media impact of Paje By Kite, and currently living in France, he is here to make sure that you are always online wherever possible and that, if you wish, you can take home some amazing shots from your time on the camp, if you decide to make a private photo-shoot with him. In the meantime you will find him behind his computer answering your questions, and dealing with any issues and requests that you might have.